Sap i.e. 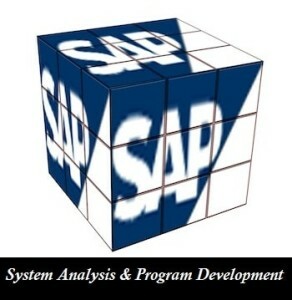 the system analysis and program development is a business suite that consists of the individual applications. In the years of 90s the use of internet grew rapidly and he demand for the internet was also very much as compared to all other different products and all other applications at that time. The main aim of all the companies at that time was just to develop a new economy and to prove that they can provide the common man the best of its services. When the main aim of the companies was to prove them the best the new economy was born. And these new economy came to be known as the “dotcom” firms. These firms became very much popular at the time as per the demand of the common man and the circumstances at that time. The main aim of these dotcom firms was to just provide a faster and a better use of the internet to the fellow men as the demand of internet was growing. The dotcom firms consist of the internet and some specialized employees which would help them to improve their facilities to the customers so that their overall turnover of the business may increase. The entire market faced a huge revolution due to the growing demand of internet and this revolution also proved very useful for some of the business firms. Some had this revolution as a golden opportunity where as some of the companies suffered from a huge loss. SAP is the world’s largest software provider business firm. This company has the highest and the largest turnover of about almost the entire world. Almost the 70% of the totals entire business software’s are provided by the SAP solutions only. This business firm was developed by the five former IBM former employees in the year 1972.SAP provides a comprehensive range of enterprise software applications and business solutions to empower each and every aspect of your business. This also allows a good way of managing their most critical business situations in a very simple and a better way. The sap business solutions have helped the huge multinational companies a lot and have also proved very supportive to all the business firms. The business application provides the user with the consistent reality. It provides the company flexibility in handling the companies’ data in the entire dynamic market situation. These business suites consist of the number of different products that enable the cross company processes SAP is the third largest independent software provider in the world. The world’s biggest product company nestle has signed the world’s biggest contract with this company till date. The main aim of the SAP is to provide different software solutions to the world’s business firms the best of the software solutions so that the companies can work more flexibly and more comfortably with the technology market. SAP does not only has the contract with the nestle company but it has also joined the hands with the software company Microsoft also. They also have their business relationships with the coca cola also. SAP is the growing business firm and the largest company also it has its headquarters in Bangalore city in India.